Some of the first things to buy when finding out a baby’s on the way is furniture for the nursery. The good thing about it is you’ll have plenty of time to decide on your purchase, since there isn’t any little person to take care off while browsing the internet for the nicest items available. If money’s not an issue then you can have a look at all the “smart” products available. 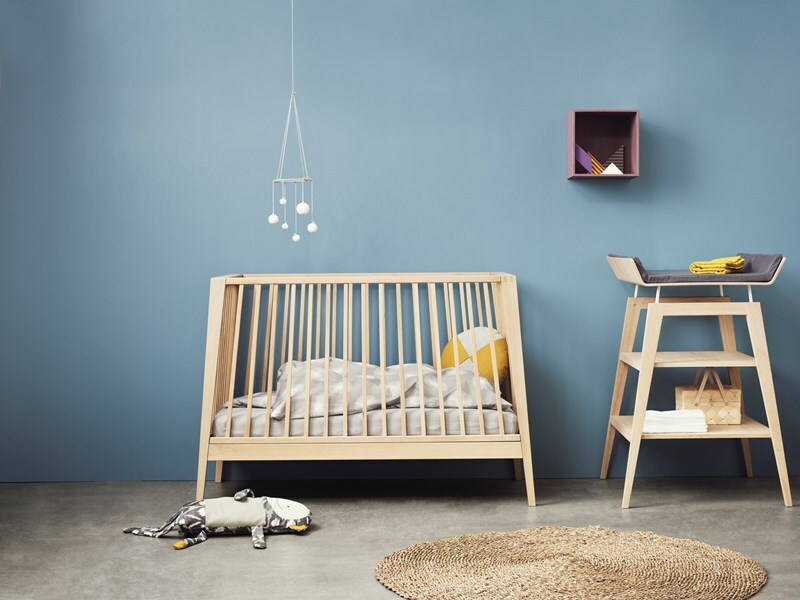 Yes, the coolest nursery furniture right now comes with integrated sensors that record the baby’s sleeping patterns, temperature, skin conductivity etc. etc. After consulting the best baby furniture reviews and looking through the products available for sale, we’ve compiled a few of the things to be mindful of when buying for a nursery. If there’s no bassinet available, this is where the baby will sleep from day one until he reaches two or three. It’s important that the crib isn’t rickety and appears sturdy in the shop since a 3-year-old will likely put it through its paces. Newer models are constantly updated to meet the latest in US safety regulations, so they should be fairly safe to use, regardless of price. What to be particularly wary of is cribs with a movable side that drops for easy access. This can become a safety hazard by getting accidentally detached and the trade-off in convenience might not be worth it. Crib bumpers, which are basically paddings that go around the inside of the crib, have recently fallen out of favor with organizations like the American Academy of Pediatrics, which report that this feature might increase the risk of SIDS (sudden infant death syndrome). Cheaper baby cribs aren’t necessarily less safe. While a lower price does correlate with more product recalls, not all manufacturers of affordable products have a poor track record in this regard. Make sure to check the specific company you intend to buy from on sites like SafeProducts.gov before dismissing their product as cheap. This, of course, applies to every type of product, from diapers to baby strollers. Just like adults, sleeping babies require firm support. There’s a choice to be made between innerspring and foam mattresses here, with downsides and benefits provided by each. Foam mattresses are usually lighter, which makes changing the sheets easier. They come in a wide range of thickness and density, with slimmer and firmer ones being somewhat safer since they reduce the risk of entrapment. A coil or innerspring mattress tends to keep its shape longer than a similarly priced foam product. Manufacturers use the number of coils and the gauge of the wire inside the mattress as a metric firmness. Look for products that have at least 135 coils, with a gauge of 15.5 or lower for optimum quality. Parents working on a budget can feel free to skip this category since bassinets are not absolutely necessary and only usable for a couple of months. What they will be missing on is a good deal of convenience, since a bassinet, especially a wheeled one, allows for the infant to be moved anywhere around the house and kept close to mom and dad. High-end products of this type come with a few interesting features, such as vibrating cradles and sensors to record the baby’s sleep. Cheaper ones might be worth considering if there isn’t enough space in the parent’s bedroom for a full sized crib since all good doctors recommend for the infant to sleep next to the mother for the first months of life. As a safety precaution, it’s always important to check for the mattress of a bassinet to be firm enough before buying. It’s a general rule that the infant’s sleeping surface must not be too soft and fluffy bedding can pose a risk of suffocation. Another piece of baby furniture that can potentially add convenience to a new parent’s life is the changing table. It always features guard rails and a baby strap, with more pricey models doubling into baby dressers for extended use (standard ones are safe to use from day 1 to around 2 years). According to the American Academy of Pediatrics, the rail must be at least 2 inches tall and to cover all sides for adequate safety. A hand must be always kept near the infant when on an elevated surface and the table must be carefully checked not to wobble. For parents who want to add an old-times charm to the nursery, a rocking chair would be the way to go. These pieces of furniture don’t usually have any specific adaptation for nursery use, they just provide a fun way to rock your baby. These are not to be seen as redundant, however, since babies seem to derive so much enjoyment out of the rocking motion that even budget parenting guides usually recommend them. 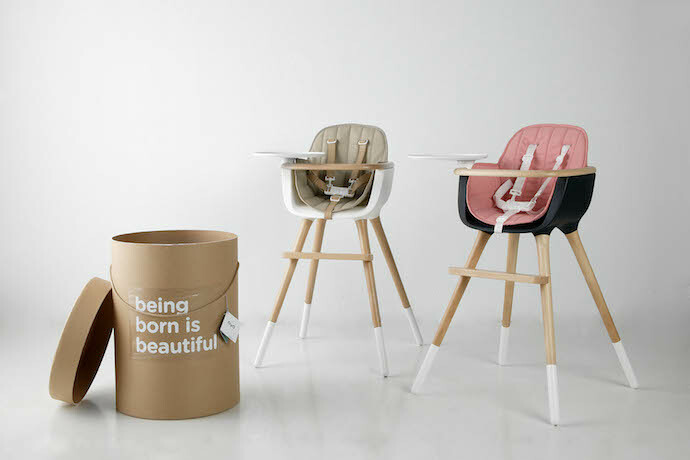 Gliding chairs represent a modern variation, specifically intended to offer a leaner, wavy motion that infants seem to particularly enjoy. Their value is somewhat increased by the potentially long term use these provide. High chairs make feeding much easier once the baby can hold his own head up. What to look for when buying one is sturdiness and stability, since you can bet that its occupant will be constantly moving around. Good bracing is important but not nearly as important as the parent’s ability to swiftly remove the baby if the need were to arise.